More than a decade ago, I covered Argentina, Uruguay and Paraguay, as well as Baja California, for another guidebook publisher whose name I always decline to mention in this blog. On moving to Moon, I reluctantly excluded Uruguay and Paraguay from my new Argentina title because of the additional work they entailed, though I’ve been able to incorporate parts of Uruguay into my Buenos Aires title for Moon. Unfortunately, I had to give up Baja, for which Moon already had a more than capable author. In that time, I haven’t returned despite my affinity for the peninsula – given its relative proximity to my Northern California home, it felt more like a vacation than my months-long odysseys through the Southern Cone countries. I even enjoyed cities like Tijuana and Mexicali, despite their shortcomings, and the fact that I once had my car stolen in the beach town of Rosarito (recovered, with minimal personal property loss, by a conscientious Mexican insurance investigator). 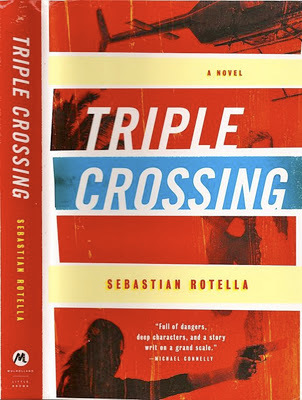 While I’ve not returned to Baja California, and rarely cross the Argentine border into Paraguay, I recently took a vicarious voyage to both places in Sebastian Rotella’s new novel Triple Crossing. 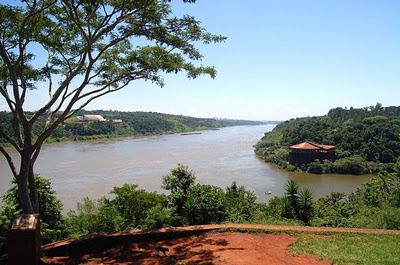 In his fiction, it’s a voyage to the unfortunate dark side of drug barons, money laundering and violence in Southern California, Tijuana and the Triple Frontera zone where the borders of Argentina, Brazil and Paraguay converge at the confluence of the Paraná and Iguazú rivers. Rotella, a former Los Angeles Times bureau chef in Buenos Aires and investigative reporter along the US-Mexico border, now writes for the public interest website ProPublica. 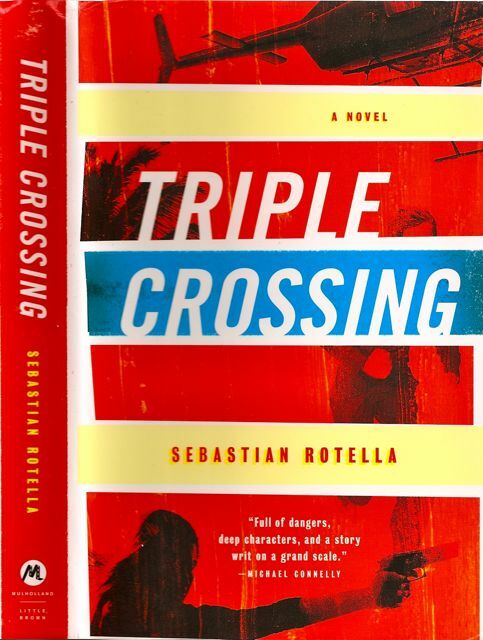 Praised by Michael Connelly and Luis Alberto Urrea, among others, his novel draws on those experiences through the character of Valentine Pescatore, a Chicago-born Border Patrol agent of Argentine extraction, who somewhat involuntarily infiltrates the inner circle of a Tijuana drug lord. The descriptions of life inside the gangster’s compound are riveting, and the accounts of bureaucratic infighting and corruption on both sides of the border – not to mention incidents of genuine heroism – are a tribute to Rotella’s understanding of the complex issues in play. When things get too hot in Tijuana for Pescatore’s crime boss, he gathers up his gang – including Pescatore, who is surreptitiously reporting to a DEA agent with whom he is also romantically involved – and flies them to the shadowy Paraguayan city of Ciudad del Este until the heat dies down. Without revealing details of the showdown there, I’ll note that the book’s title is a clever pun on the area where the three countries and two rivers come together (pictured above), and the complex network of alliances and betrayals that can take place there. Surprisingly, the portrayal of both Argentine and Brazilian officials comes off pretty positive – as perhaps they might compared to the notoriously corrupt Paraguayans – but that seems a little naïve on Rotella’s part. Still, it’s an absorbing read and the next step might be to option it for a movie – in an area where Oscar-winning director Kathryn Bigelow already has a project underway.